Dr. John Davis, avid fisherman and published contributor to magazines, newspapers, journals and dictionaries, will be speaking at the Summit Mills and Meyersdale (PA) Grace Brethren churches this weekend. Davis will speak at a covered dish meal at 6 p.m. on Saturday and during church services at 10:30 a.m. on Sunday at the Summit Mills church. He will then speak at 7 p.m. on Sunday at Meyersdale church. Davis has conducted fishing clinics across the country and has traveled the United States the past 10 years as a wild game dinner speaker and entertainer. He has published more than 2,500 articles in magazines, newspapers, journals and dictionaries. 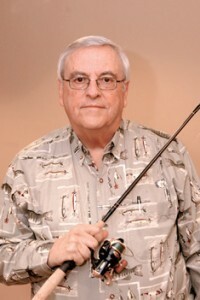 In 1989, he was recognized as the “Outdoor Writer of the Year” by the Indiana Department of Natural Resources. Davis is former president and professor of Old Testament at Grace College & Seminary in Winona Lake, Indiana, and is the author of a number of best-selling Old Testament commentaries published by BMH Books of Winona Lake.